I'm really excited to announce a new series on my blog called Make~Motivate~Connect! A place for us to Make stuff, Motivate each other, and Connect! What will we be doing? We'll be posting a new topic every Monday for you to complete. You'll have until Friday evening to post and link your completed challenge here on this blog. Every Sunday I'll be posting my favorites for the week. 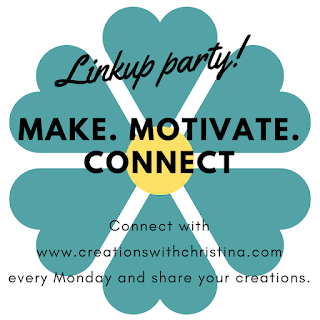 This will include a link to your blog, and your project posted in a Pinterest Board specifically for the Make~Motivate~Connect series. A way for me to connect with you. A way for you to share your blog. A way for you to share your creations. Post on your blog/Instagram your completed project/photo for the week. Post your completed project/photo using the link for that week's Make~Motivate~ Connect post. 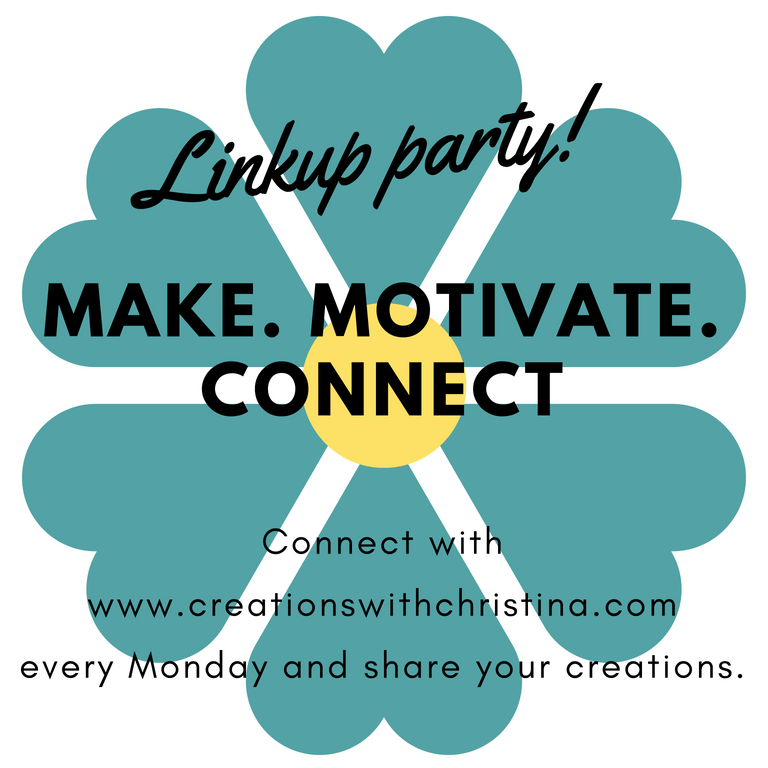 Linking back to the party on your blog/Instagram account is always appreciated, but not required. 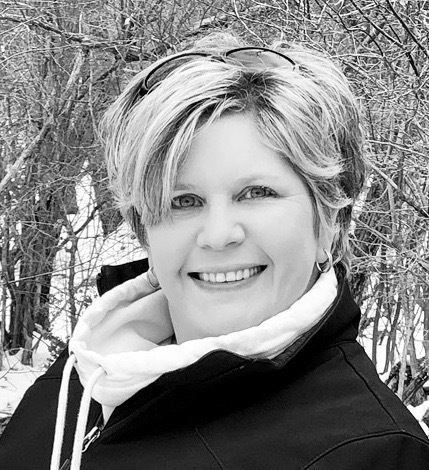 Use #MakeMotivateConnect on your social media posts. If you'd like, you can add this button to your blog, but again it's not necessary to add, just much appreciated. Post on you blog or Instagram account your photo for the week. On the post here on my blog for that week's challenge, link your photo using the linkup party link! Connect your photo by clicking on the Add Link button. If you have more than one photo on your blog post, it will ask you to select the photo you wish to use as your thumbnail. Once you've selected your photos, accept terms/conditions and click save. That's it. You're photo/blog is now connected. See you back here tomorrow for our first Make~Motivate~Connect post. This is really a good article because you always post grand related content and very informative information with powerful points.Just like the article I was looking for to read the article I found on your website.Basically I'm a writer I would like to share my website here Custom Dissertation Writing Service and sometimes I wait for your post to get more this type of blogs.A good blog always comes-up with new and exciting information and while reading I have feel that this blog is really have all those quality that qualify a blog to be a good one.What a great post,love this post!Great blog you have Thanks for sharing.